Our Bunker Pak features tees and quarter marks and makes impressive Custom Logo Products with brand logo. A promotional product made to impress your clients and customers, the Bunker Pak offers amazing customization ability to showcase your brand logo and marketing message! 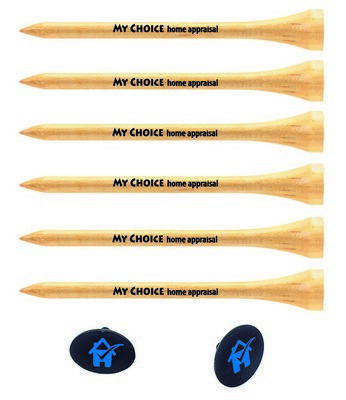 This golf event pack features six custom printed tees and two imprinted quarter marks. Each of the golf items offers enough space to imprint your corporate logo and company name. Made in the USA, this golf kit makes a giveaway worth investing in and your business will definitely flourish with the marketing campaign complete with such an impressive gift.